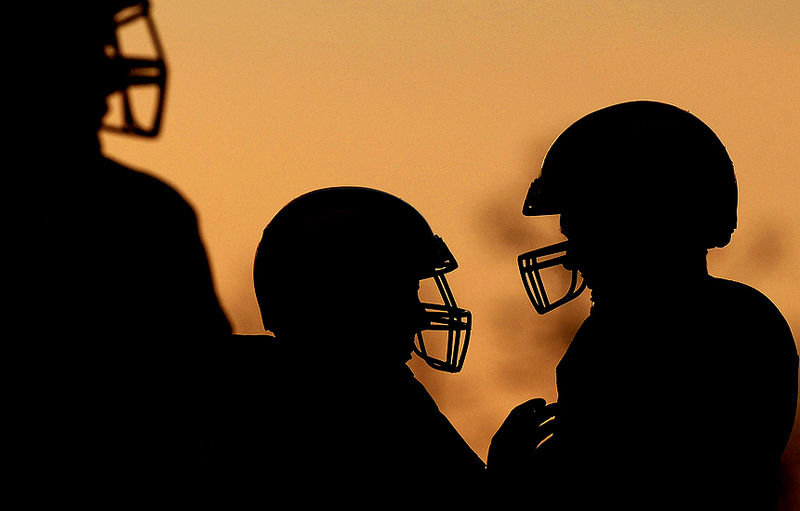 "North Harford senior quarterback Dan Griffin, right, who will look to lead North Harford to a victory over Wilde Lake in the 3A East Region final on Friday, walks through a drill during practice at North Harford High School, Tuesday, Nov.20, 2007." Since I have a little down time between assignments and most likely the game I am covering later tonight will be canceled, (not counting on it) I decided to look through my images quickly and choose some of my favorites from 2007. I should be out making a snow feature as it dumps a mix of snow, rain and probably ice. But it's so warm in here. Every year many Web sites, such as, MSNBC, Time, Yahoo! and POYi, to name a few, share what they think are the best images of the past year. In addition, large newspapers around the world, small community and college papers in towns near you also share their top images of the year. But while these organizations choose their favorites for thousands of image in their databases, from thousands of different photographers around the world, I always choose my favorites. They may not be my favorite just because of the image, but maybe because of the subject or the great time I endured making the image. After combing my archive, I had marked 20 images. But since my Sport Shooter page only can hold 10, here they are. Let me know what you think and maybe I'll create a hidden gallery with all the images, that is if I am off later due to the snow.